at the web cam view of the ancient marketplace. 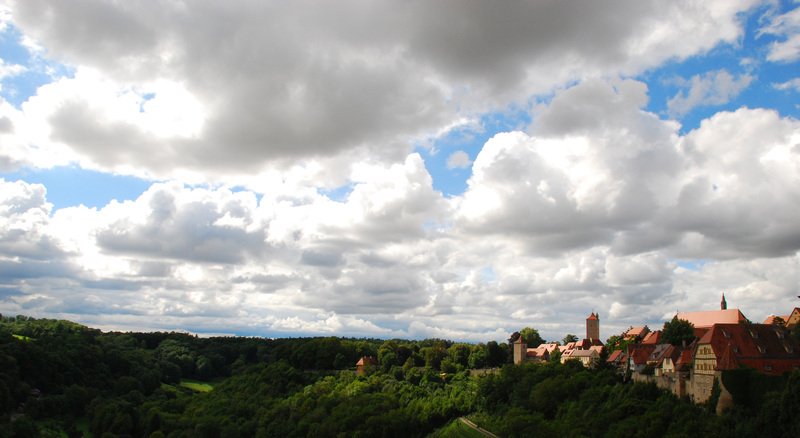 Posted in Europe Tours, Germany Tours, Planned Tours and tagged cam, rothenburg, web. The shot above was taken on a windy, hot day in July. We had our windows wide open all around the three sides of our apartment facing out onto the valley. It was about 92 degrees when I took this shot, which is very hot for Germany. A cold bottle of beer carried back from Zywiec, Poland was waiting on the table just out of sight below this view.